We’re starting off the week with a cake that is nothing less than dreamy. 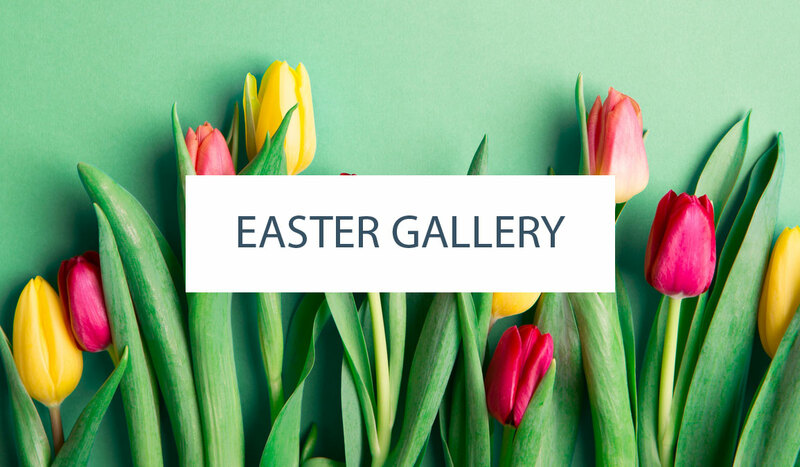 A fabulous blend of 2013’s hottest trends and colors, today’s feature unites crisp white and mint green with a small pinch of grey and a huge dash of gorgeous gold. With a graphic print, so bold and sleek, you can’t imagine how it was so perfectly placed. 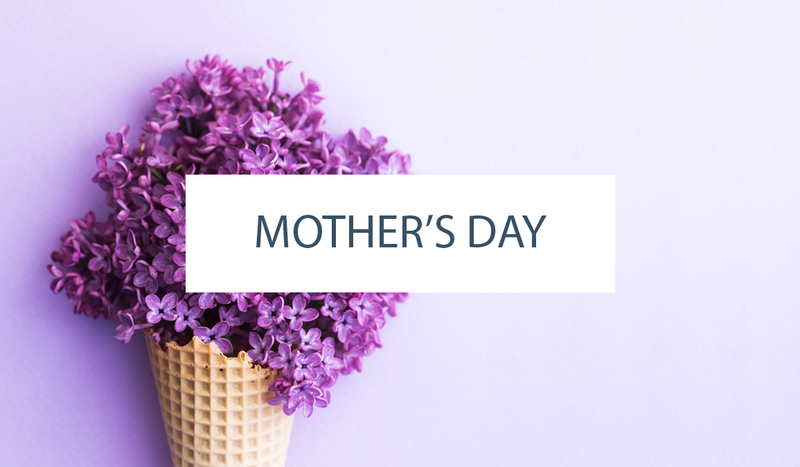 Not to mention a modern flower that’s simply sophisticated and just the right level of minimal. 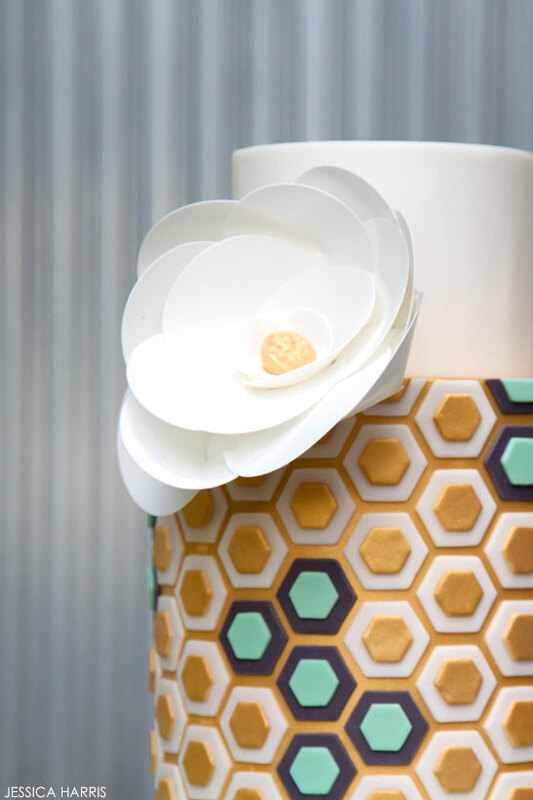 It all comes together in a yummy design that will have you fantasizing about hexagons and daydreaming about metallics. It comes to us from Jesssica Harris and sports her signature graphic style. You probably remember Jessica from previous features like this incredible striped cake and this adorable baby shower design. I’m always excited to see what Jessica has in store for us…. and I know you are too. So let’s get to the good stuff! 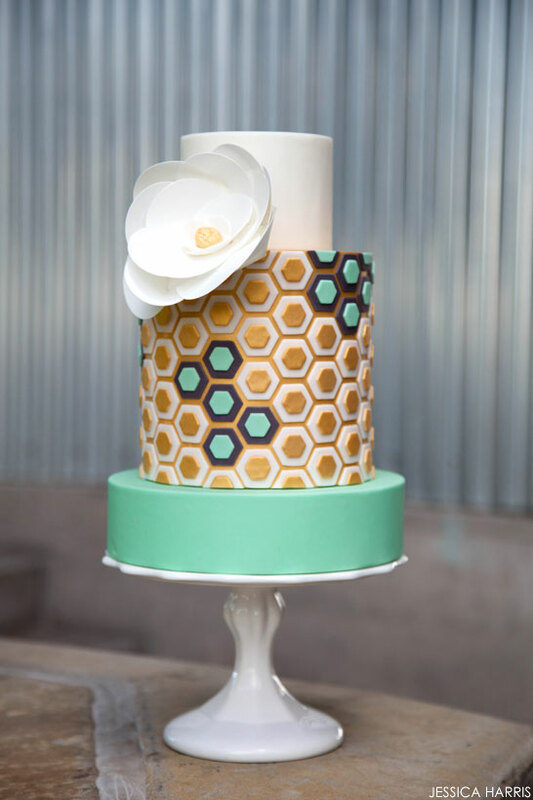 “I am seeing hexagons in so many amazing designs these days! I see them in printables, on phone cases, on pillows and in clothing. It’s really a hot pattern right now. The graphics I most love are layered designs with bold contrasts. So, that’s how I designed this cake. I first selected a hot and modern finish for the backdrop to this cake…gold!! The entire background to the hexagon design is a gold metallic painted on with a brush using super gold dust and lemon extract. I then painted some of the top pieces gold too in order to give the cake texture and to bring the gold out a bit more. The possibilities with this design are endless, with countless color combinations to create a whole new look. Jessica says she looks forward to seeing what her students come up with. Yep, that’s right! 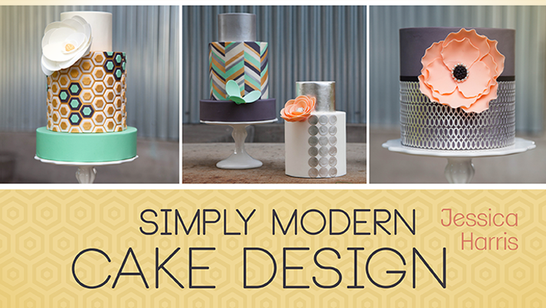 Jessica is teaching another fabulous cake class over at Craftsy! We all loved her first Craftsy class teaching us how to create those super clean lines and crisp edges…. and now she’s showing us how to make our cakes gorgeously graphic and golden! Umm… sign me up, please! Here’s a link to Jessica’s new class. And did I mention you get a 25% OFF Discount?! 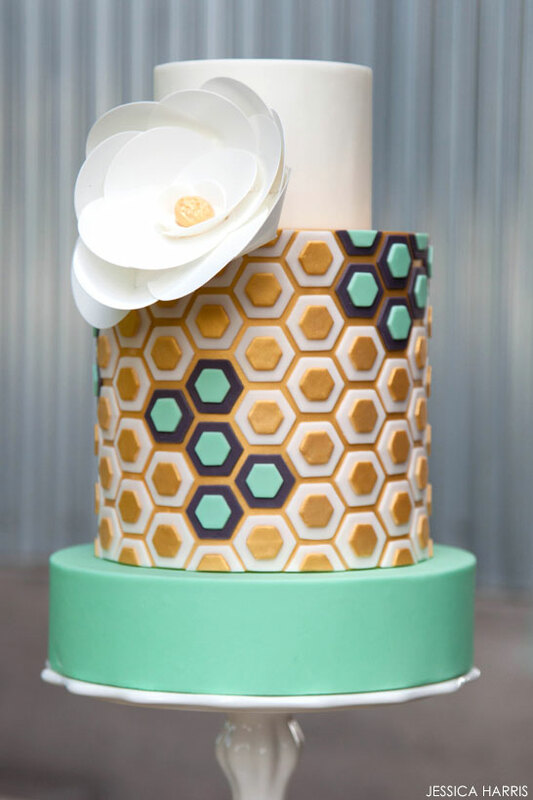 A very special thank you to Jessica Harris for sharing her exquisite Golden Hexagon Cake with us today. It is seriously amazing! And thanks to our friends over at Craftsy for hooking us up with a 25% off discount! I don’t know about you, but I’m dying to check out Jessica’s new class. So I’m signing off to go learn from this talented (and incredible sweet) lady! I just saw this now – not sure how I missed it since I follow your blog. I LOVE this cake! I feel like Jessica Harris can do no wrong – and it definitely shows her signature graphic style. I love it!